Thank you so much! We would highly recommend this course! Sian is wonderful, she created an excellent atmosphere, she is very professional, knowledgeable and personable! I feel much more confident and learnt a lot today. Private classes are available in the comfort of your own home, from just £20 per person. If you would like further information, please complete the form below, and include what area you are in, along with how many people would be attending. I was really impressed with this course. Sian was flexible and came to our home to accommodate the participants and their little ones. 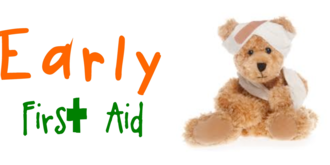 Her delivery was very effective, ensuring that we'd grasped and practised the first aid essentials for various scenarios that are increasingly becoming a concern as our babies get into more mischief! I feel like I've come away actually remembering what to do rather than thinking I need to go back and keep looking it all up. Although the accompanying booklet will be invaluable if baby brain or sleep deprivation kick in at any point! I'd recommend this to all parents, particularly those with little ones embarking on solid foods and those who will soon be on the move. Thank you again Sian for a fantastic course! Sian makes everyone feel welcome and is very friendly and extremely knowledgeable. Really great and interesting first aid course. Sian makes everyone feel welcome and is very friendly and extremely knowledgeable. All subjects were explained and demonstrated in great detail and Sian always asked if we had questions. Really worth doing, let's hope we don't have to use it, but if something did happen I feel much better knowing I could deal with the situation. Will be attending again in a year or so for a refresher.